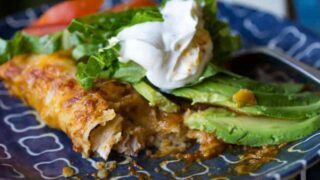 Traeger Smoked Green Chile Chicken Enchiladas are one of the best homemade enchiladas that I’ve ever eaten. Who knew that grilled enchiladas could be this easy AND delicious? 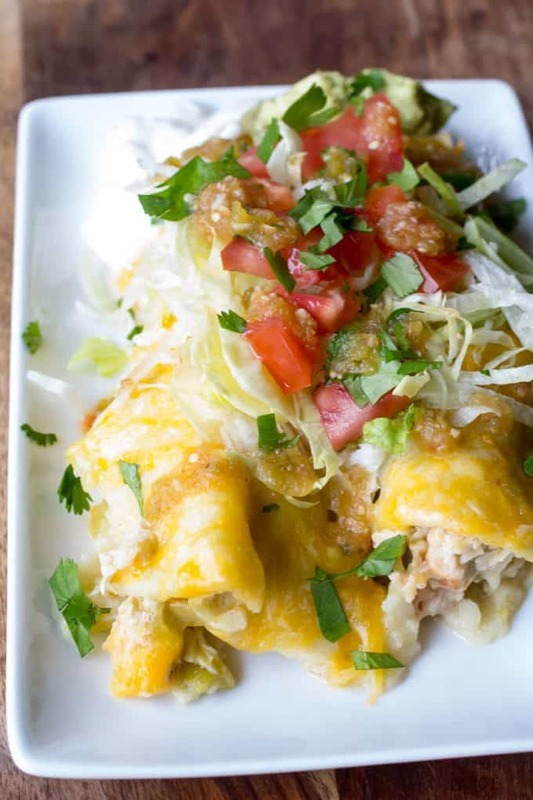 Enchiladas can be a little daunting if you have never tried to make them. The assumption is, one can never make it close to how they make it at their favorite Mexican restaurant. The truth is, don’t try. You’ll most likely be disappointed with your results. 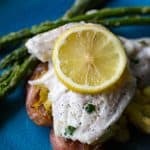 A lot of those recipes are handed down through many generations and contain some ingredients in the sauce you might not be able to identify with your pallet. 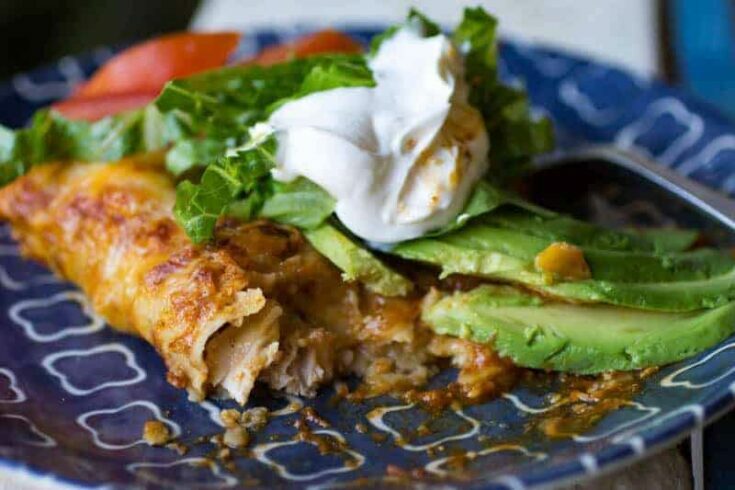 Check out this easy to follow baked chicken enchilada recipe. It’s not from a restaurant, it’s from your grill. 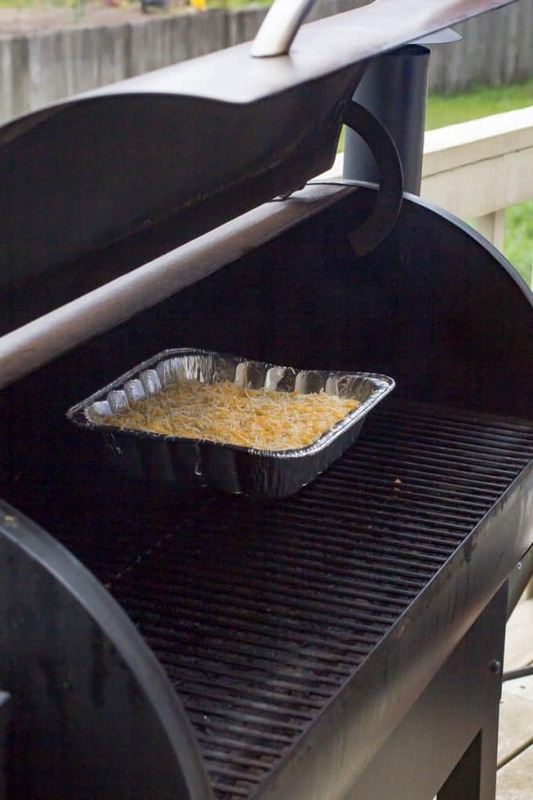 Why Should You Grill Enchiladas? You wouldn’t ask that if you would’ve been over here for dinner on enchilada night. 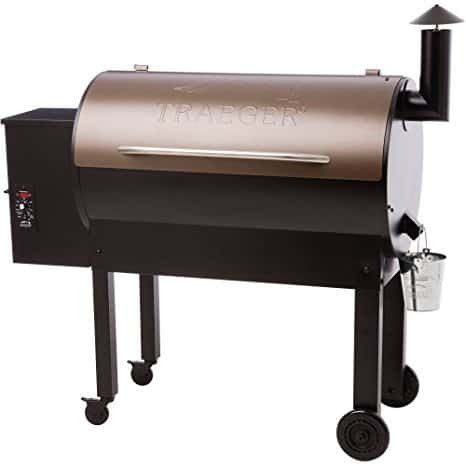 The Traeger lends a little smoke to this which compliments the salsa verde and the Traeger Grilled Chicken breasts go much. 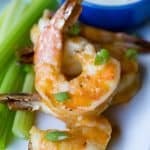 You can make these on any kind of wood-pellet grill, or any grill – for that matter. Just make sure that you are cooking over indirect heat. 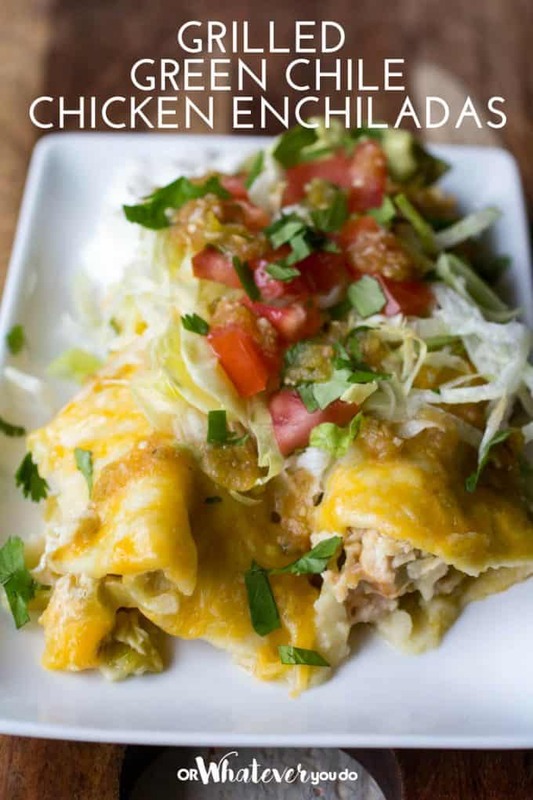 What Kind of Cheese Works Best For Enchiladas? It depends on what you are going for, but my favorite is a good blend of cheddar, Monterey Jack, and Colby. A big bag of Mexican blend cheese does the trick really nicely though! We’re about to start experimenting with smoked cheese, and I’m going to be allllll about layering that stuff on top of these enchiladas! 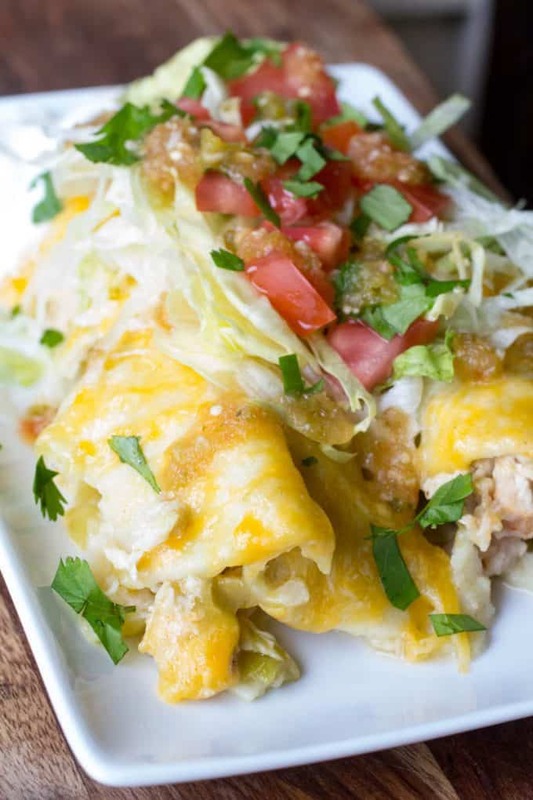 What Are The Best Toppings For Enchiladas? These aren’t hard, at all, but you’ll want to take note of a few things to make your life easier down the line. Cooking spray is your friend. Pack those enchiladas in tight! It’ll help them stay together, and you’ll fit more into the pan. Don’t skimp on the sauce! These are meant to be smothered and covered so use all the sauce and cheese you want. Traeger Smoked Green Chile Chicken Enchiladas are one of the best homemade enchiladas that I've ever eaten. Who knew that grilled enchiladas could be this easy AND delicious? Open your package of chicken and lay it out on a small platter. Pour the canola oil onto the chicken, making sure to lightly coat all of it. 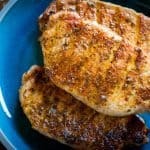 Mix your Chili Margherita spice blend, salt, onion and garlic powder together and sprinkle it onto your chicken. make sure it gets coated on both sides. Cover your chicken with plastic wrap and place it in your fridge for at least 1 hour. Start your Traeger grill and pre-heat it to 450 degrees F.
Take your chicken out of the fridge while the grill is getting hot. Once your grill comes up to temperature, place all of your chicken directly on the grill. Close the grill and cook for 12 minutes, flipping once (6 minutes per side). 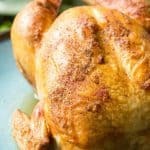 Pull the chicken from the grill and set aside to cool down. Once your chicken is cooled down enough to touch, shred the chicken using two forks. Place your shredded chicken and the green chiles in a bowl and mix together with 1/2 of the bag of shredded cheese. Use a 13x9 oven safe baking dish that has been coated with cooking spray. Open your package of corn tortillas and begin filling them with the chicken, cheese, and green chile mixture. Before placing any of the filled tortillas into the pan, open your enchilada sauce and pour just enough on the bottom of the pan to completely coat it. Once the pan has been coated, begin placing the tortillas into the pan as you fill them. TIP! Place the tortillas tightly in the pan. 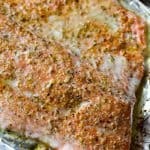 This will help them stay together and you will be able to get more of them into the pan. Once the pan is completely filled with tortillas (about 12-15), pour the rest of the enchilada sauce on top of the filled tortillas. 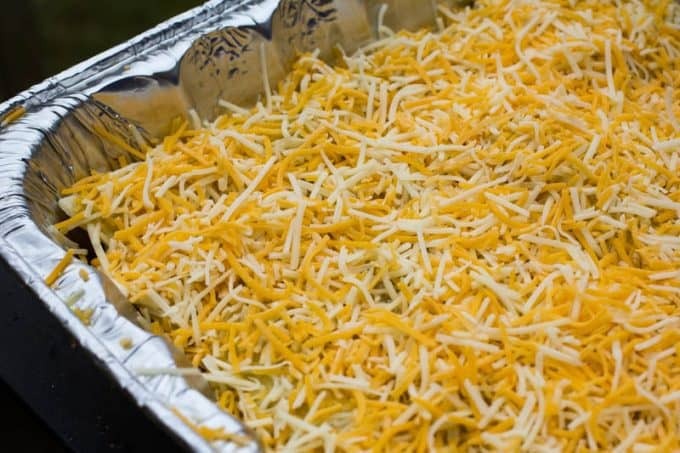 Spread the rest of the cheese on top evenly. Cover with aluminum foil and put it onto the grill for 30 minutes. After 30 minutes, remove foil and let cook for another 10 minutes. Remove from grill and garnish the top with the cilantro. Serve with all of your favorite condiments.